Olivia Chow is a progressive field and online organizer, most recently leading “get out the vote” efforts with Obama for America, Nevada, running social media for the 2012 Democratic National Convention, and building community partnerships for civil rights advocacy at the Asian American Justice Center. She is a volunteer board member of Asian Pacific Americans for Progress-DC, which worked with Asian Pacific American Labor Alliance-DC to coordinate the Say Sorry Barry campaign. Rohan Grover is the data and analytics associate at the Planned Parenthood Federation of America & Action Fund, where he empowers field and electoral programs with data management, microtargeting, program analytics, and organizing technology. He is a volunteer board member of Asian Pacific Americans for Progress-DC, which worked with Asian Pacific American Labor Alliance-DC to coordinate the Say Sorry Barry campaign. Camden Lee is a digital strategist at New Partners, a political consulting firm that serves progressive candidates, organizations, and campaigns. In the 2012 elections, his portfolio included Nate Shinagawa’s close Congressional race and online voter engagement across the country. He is a volunteer board member of Asian Pacific Americans for Progress-DC, which worked with Asian Pacific American Labor Alliance-DC to coordinate the Say Sorry Barry campaign. Vincent Paolo Villano is director of communications for the National Center for Transgender Equality and vice president for administration for the Gertrude Stein Democratic Club, one of the nation’s oldest LGBT Democratic clubs. He is a volunteer board member of Asian Pacific Americans for Progress-DC, which worked with Asian Pacific American Labor Alliance-DC to coordinate the Say Sorry Barry campaign. In response to anti-immigrant remarks made by District of Columbia City Councilman Marion Barry, a group of young progressive activists launched the “Say Sorry Barry” campaign to engage the city in a dialogue about respectful rhetoric. Barry’s comments contributed to a dangerously xenophobic narrative present throughout the 2012 election cycle. To combat this, the Say Sorry Barry campaign used online organizing to build public grassroots pressure and to successfully hold Councilman Barry accountable for his actions. From this we learned a larger lesson: that the future of Asian American advocacy hinges on how and when—not whether—our community is engaged online. Using this campaign as a case study, Asian American activists can draw lessons for their own organizing as one approach for ending the anti-immigrant dialogue in politics and for influencing public policy. On 3 April 2012, Councilman Barry, a former four-term DC mayor who now represents Ward 8 on the City Council, said at a campaign victory party: “We got to do something about these Asians coming in and opening up businesses and dirty shops. They ought to go. I’m going to say that right now. But we need African American businesspeople to be able to take their places, too” (Blinder 2012). Local and national Asian American groups in DC quickly circulated a sign-on letter condemning Councilman Barry for his comments. The letter also called for an apology, an official retraction, and a commitment to develop meaningful relationships within the Asian American community. Members of the DC Commission on Asian and Pacific Islander Affairs attempted to schedule a meeting with Councilman Barry and his senior staff, but his office cancelled the appointment at the last minute, leaving the community without a forum to voice their concerns. Fewer than three weeks later, Councilman Barry again used Asian Americans as scapegoats, this time targeting Filipino nurses: “In fact, it’s so bad, that if you go to the hospital now, you find a number of immigrants who are nurses, particularly from the Philippines.” He added, “And no offense, but let’s grow our own teachers, let’s grow our own nurses—and so that we don’t have to be scrounging around in our community clinics and other kinds of places—having to hire people from somewhere else” (Gartner 2012). Throughout the 2012 election cycle, several campaigns perpetuated false fears of immigrants “stealing” American jobs, including Pete Hoekstra’s “Debbie Spend-it-Now” commercial (Hoffman 2012). Hoekstra, a US Senate candidate, ran a political advertisement during the Super Bowl that exploited voters’ fears of China’s economic dominance. His campaign recruited an aspiring Asian American actress to ride a bicycle down a dirt road and assert, in fake broken English (Ngo 2012), that Hoekstra’s opponent would bolster China’s economy: “Your economy get very weak. Ours get very good. We take your jobs. Thank you Debbie Spend-it-Now!” (YouTube 2012). Councilman Barry’s comments fit neatly into this resurging anti-immigrant rhetoric in the midst of economic conditions alarmingly similar to those that precipitated Chinese American Vincent Chin’s murder thirty years ago. Callously singling out Asian American store owners and nurses implied that immigrants cannot be successful American workers who contribute positively to society, let alone be respected by their own city council representative. Referring to Asian American residents as “others” unnecessarily roused racial tensions among Barry’s constituents and offended several business owners who take great pride in the lives they have built for themselves (Kang and Tsoi 2012). As a group of Asian American activists, we recognized Councilman Barry’s remarks as a tipping point in xenophobic rhetoric in Washington, DC. We decided to organize a response to foster a productive dialogue about respecting immigrant communities. Councilman Barry represents a predominantly African American district that was extremely strained by the recession, and residents now compete in a climate generally unfriendly to small businesses (Williams 2012). Addressing Councilman Barry’s hope for economic restoration was possible, but not without inviting diverse partners, including community groups, business owners, residents, and elected officials. Our goal became clear: we should try to repair the damage caused by Councilman Barry’s comments by continuing to demand an apology and seeking sincere, proactive efforts to mend community relations. To achieve this, we turned to the most effective strategy in our hands: online organizing. Four weeks later, under the heat of local and national media attention and after meeting with the Say Sorry Barry campaign team and our coalition partners, Councilman Barry apologized to the Asian American community in a public event. His constituents filled the room, joined by civil rights leaders such as members of the DC Commission on Asian and Pacific Islander Affairs; Floyd Mori, then-executive director of the Japanese American Citizens League; and Angela Oh, advisory board member of President Bill Clinton’s One America Initiative on Race. The campaign had successfully secured a sincere apology from him and a commitment to improve community relations. The Say Sorry Barry campaign was composed of several online and offline tactics that strategically centered on rapid response to optimize our turnaround and growth. Turnaround was measured by the length of time necessary to set up our online tools for taking action and also by how well they accommodated daily priority shifts; growth was measured by garnering press hits and engaging more people to take action and share our campaign. The following sections provide an overview of our organizing tools and the strategy behind each one. Facebook and Twitter were the initial launching points for engagement and sharing. To build pressure, we publicized a Facebook page and pushed an active Twitter feed using the hashtag #SaySorryBarry. We used this to share details as they unfolded, including when Councilman Barry defended his inflammatory remarks at an emotional DC Office on Asian and Pacific Islander Affairs budget hearing. Tweeting quotes from the meeting generated traffic and incited more people to take action. Direct asks to share our content encouraged supporters to share our campaign to their own networks. In the end, social media drove more than half of the campaign Web site traffic. Facebook and Google advertising broadened the campaign’s reach and visibility. Facebook ads targeted DC residents who were likely supporters, Councilman Barry’s staff, and local press. Google ads targeted people who searched for terms related to the campaign and retargeted people who had visited our Web site. Retargeting past visitors led them up a ladder of engagement that transformed visitors into supporters, then into action takers, and finally into evangelizers who brought additional visitors to the Web site. In addition to using the Web site to send e-mails to Councilman Barry, we also used an online relationship management tool to communicate with supporters and also cultivate new ones by proactively reaching out to likely supporters in our personal networks. Collecting e-mail addresses allowed us to continuously ask them to share information on social media and take additional actions both online and offline. This was critical to translating a single interaction on an online petition into deeper involvement throughout the campaign. Press and blog outreach was essential to the campaign’s success. Gaining coverage of the campaign in popular blogs such as DCist, Prince of Petworth and Angry Asian Man helped us reach local DC and national Asian American audiences. Saturating online outlets set the campaign up for further coverage in mainstream print, radio, and television media. Over four weeks, the controversy received more than 250 media mentions including from the Washington Post, the Huffington Post, National Public Radio, the Washington Times, and Hyphen magazine, with one-fifth of these press clips specifically citing the Say Sorry Barry campaign. As the story developed, message discipline kept the narrative focused on the problem, our goal, and our strategy of applying additional pressure on Councilman Barry and his staff. Our work was only part of the activism that responded to Councilman Barry’s anti-Asian comments. Coalition work with local and national advocacy organizations was a core part of the campaign strategy. Many Languages One Voice (MLOV), which advocates on behalf of people in DC who do not speak English as their primary language—including many business owners in Ward 8—led the initial petition and empowered local business owners by amplifying their voices throughout the process. Meanwhile, members of the DC Commission on Asian and Pacific Islander Affairs negotiated with Councilman Barry’s staff to schedule community meetings and organized the final event where he issued his apology. We also invited advocacy groups to join as campaign partners by spreading the petition to their membership and e-mail lists, donating to the campaign for online advertising, and inviting participants to demonstrations at public events that Councilman Barry was scheduled to attend. Together, these pieces formed an “echo chamber” such that our message reverberated in the DC community and the press to sustain and escalate pressure on Councilman Barry’s office to respond. Campaign tactics were driven by strategy focused on rapid response in order to drive our campaign narrative in the media and show a growing concern for the issue. In every form of communication, Say Sorry Barry responded to the changing story by reinserting itself in the narrative with the clear message that public servants owe constituents their respect. Principles of online organizing are rooted in practices of traditional organizing: identify a solution, target a decision maker who has the power to provide that solution, and leverage your relationships to build power until the target gives you what you want. If the target is unaffected by initial attempts, then escalate the action sequence to build additional pressure. The Internet is the future of organizing the next generation of Asian Americans, especially given our community’s high rates of use and engagement in the digital world: 86 percent of Asian households—more than any other racial group—own computers at home (ESA and NTIA 2011), and 63 percent of Asian American Internet users are young people between eighteen and thirty-four years old (Spooner 2001). The Internet has changed the way we interact such that online organizing is incredibly practical: it lowers barriers of entry for Asian Americans to connect with each other from across the country and advocate for themselves, while traditional organizing is limited by geography. Using digital tools, we activated and engaged Asian Americans on an issue that affects a community larger than DC itself, ultimately strengthening our community’s voice. Despite the campaign’s overall success, we faced several challenges that limited our impact. First, as volunteers, we balanced the Say Sorry Barry campaign with other personal and professional obligations, which limited our ability to fully commit to a rapid response strategy. Second, the campaign was only executed in English, which cut a significant portion of potential supporters and action takers, and further excluded some of the most marginalized populations in our community. Finally, we relied on inexpensive or free digital technology to execute the campaign. These tools certainly helped us achieve our goals with a limited budget, but they lacked the sophistication of more costly tools that would have enhanced our organizing. We have seen the salience of online communities through Facebook, Twitter, and emerging platforms. These tools allow people to not only tell their stories but to also broadcast them to a wider audience and organically find others who identify with their experiences. Asian American groups could play a critical role in that process by proactively facilitating interactions—especially among their memberships—and then amplifying them to build authentic, influential grassroots narratives in online and offline advocacy campaigns. This would also serve the organizations well by growing their memberships and enhancing their level of engagement. Moreover, advocacy groups should tap into their supporters’ personal networks to expand the reach of e-mail and social media messages. Oftentimes individual organizers will work on similar advocacy efforts through different employers and campaigns. By formalizing an e-mail list and an e-mail program across the Asian American advocacy community, groups can build organizational infrastructure for comprehensive engagement and increasingly impactful action. Asian Americans were the subject of an unprecedented amount of attention throughout the 2012 election cycle. As part of the rising American electorate, the country took an interest in our community as an emerging political force. Ideally, this should translate into an influential seat in setting policy priorities and making substantial gains for Asian Americans in health care, immigration, language access, social services, and more. However, we also saw many political candidates attempt to authenticate their pro-American jobs stances by employing xenophobic rhetoric that effectively instills anti-Asian fear and anger. Asian American communities are not new to such attacks, but the consequences are alarming. Rhetoric such as Councilman Barry’s holds us back from full, legitimate participation at policy-making tables by dismissing our authenticity and misrepresenting our identities. Therefore we must insert ourselves into conversations that impact our livelihoods—especially when we are not actively included. Given the success of Say Sorry Barry, we are optimistic about the future of Asian American mobilization and political power through online organizing. One of the most important lessons learned was that this work does not depend on expensive technology or consultants; indeed, a small group of volunteers with limited resources can create change in policy arenas. Although we benefited from our backgrounds in organizing in other spaces and from working in a city that is home to many national advocacy organizations, we gained support from across the country by tapping into existing infrastructure—technology, social networks, and media—and applied strategies and tactics that originate from organizing theory and are observed as best practices. These resources are broadly accessible, and we hope that our campaign serves as a compelling case for organizations to invest further in digital strategy and organizing tools. Our challenge to Asian American advocacy communities, then, is to provide more conducive pathways for mobilizing constituents and transforming supporters into activists by harnessing existing resources and prioritizing greater investment in digital advocacy tools and training. We look forward to the growing strength of online organizing campaigns in order to continue building Asian Americans’ political power and to ensure a strong voice in public policy. Blinder, Alan. 2012. Barry: “We’ve got to do something about these Asians coming in.” Washington Examiner, April 5. Economics and Statistics Administration (ESA) and National Telecommunications and Information Administration (NTIA). 2011. Exploring the digital nation: Computer and Internet use at home. U.S. Department of Commerce, November. Gartner, Lisa. 2012. 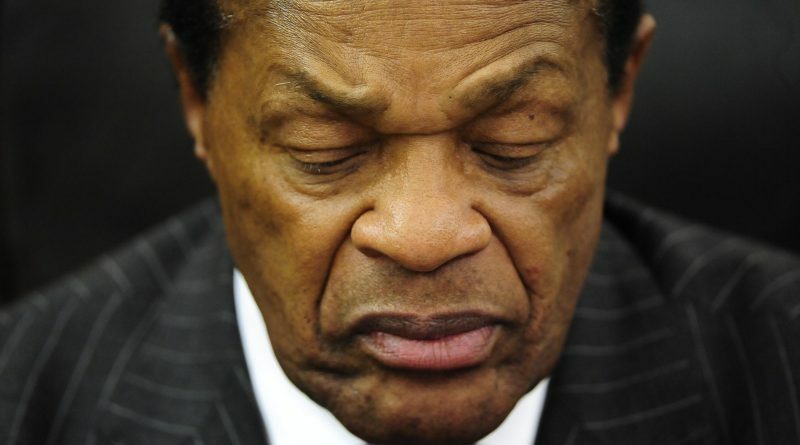 Marion Barry criticizes hospitals for hiring Filipina nurses. Washington Examiner, April 23. Hoffman, Kathy Barks. 2012. Pete Hoekstra ad draws more criticism, called “really, really dumb.” Huffington Post, February 6. Kang, Ha-Rin and Carol Tsoi. 2012. Through the plexiglass. Many Languages One Voice blog. Ngo, Kenton. 2012. Hoekstra’s yellow hands: A brief history of anti-Chinese racist campaign ads. Daily Kos, February 6. Spooner, Tom. 2001. 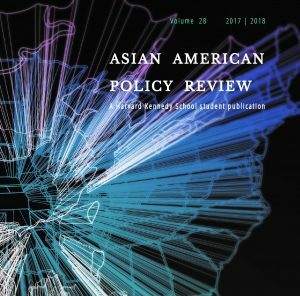 Asian-Americans and the Internet: The young and the connected. Pew Internet & American Life Project, 2-6. Williams, Victoria. 2012. Small business lending in the United States, 2010-2011. Office of Advocacy, U.S. Small Business Administration (July). YouTube. 2012. Racist Super Bowl ad? “Debbie Spenditnow.” Posted by The Young Turks, February 7.